Wouldn’t it be great if our aging parents came with an instruction manual? But no guidebook exists. We don’t have a troubleshooting checklist. Yet, many of us are struggling to navigate the family role-reversal. The parent who cared for us now needs our care. And we are often physically, emotionally, and spiritually exhausted. So, how can we excel at this challenging, God-given task? The first – and best – things we can do are not “tangible.” Things like pray constantly, rely on God for daily strength, and humbly seek His wisdom. And let’s do those things. Every day let’s do those things. But I’ve also needed practical help as I’ve cared for aging parents. My father-in-law lived with my husband and me for the last five years of his life. Although his mind remained relatively sound, he experienced a host of serious health issues that required an ongoing combination of surgeries, hospital care, inpatient rehab, and at-home physical and occupational therapy. At the same time, my own parents’ conditions began to deteriorate. Mom was diagnosed with Alzheimer’s and Dad with Parkinson’s Disease. Although every family’s situation is unique, we all face many of the same challenges. We all want to meet those challenges and do what’s best for our parents. And we all want to care for them in a way that pleases God. So, maybe these few things I’ve stumbled across will be helpful to you as well. 1. Mark your calendar with a pencil. Like you, I’ve cancelled lunch plans to take a parent to the doctor. I’ve blocked off weeks for hospital stays. But the one that really hurt was when I had to cancel keeping my grandson for a few days. After I threw a pity party, God got my attention. In this season, my parents needed me most. I can make plans, but I need to hold them loosely. I’ll never regret the time spent with my parents. 2. Build a network of accountability. My husband has talked me down off the ledge more than once. The night Mom told me to “leave her house” because she “didn’t want me there” sent me running out of the room ready to explode. (It was the dementia talking but it still hurt.) My husband calmed me enough to pray, then God did the rest. We all need two or three trusted people who can not only act as a sounding board but also keep us properly on our God-given task. 3. Help your parents find new ways to enjoy life. Due to Parkinson’s, Dad can no longer fish or golf. But he spends a lot of time beating my brother and me at dominoes. Alzheimer’s prevents Mom from doing pretty much everything she used to enjoy, but we color together and she loves beading with one of her caregivers. 4. Ask for and accept help. 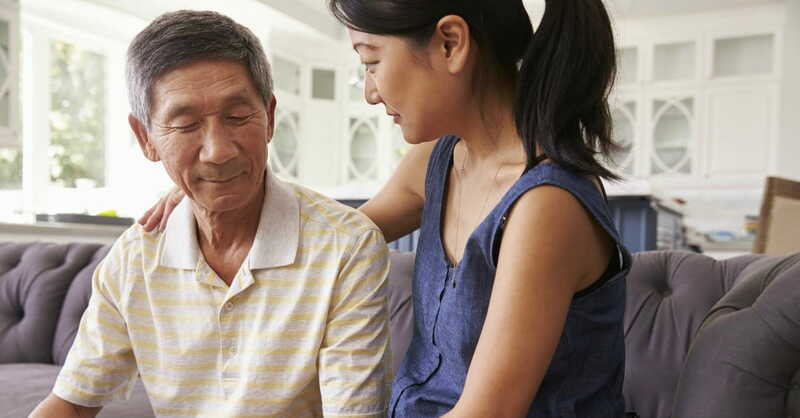 Whether you care for a parent full-time, part-time, or share the responsibility with a family member, there will be times when you need additional help. It may be ongoing or for a single afternoon, but don’t let pride or self-sufficiency get in the way. There are people who would love to help they just don’t know how. If someone says, “Let me know if I can do anything,” give them a time, a date, and a task! 5. Choose to act in love even when you don’t feel like it. True love, agape love, is love of volition, not emotion. This truth is freeing to me! We don’t have to feel guilty about not always feeling loving toward our parents when caring for them gets hard. Choosing to act in love pleases and honors God! 6. Practice praise and thanksgiving. A former “cultural Christian,” Bible teacher Kathy Howard now lives an unshakeable faith for life and encourages other women to embrace real, authentic faith. 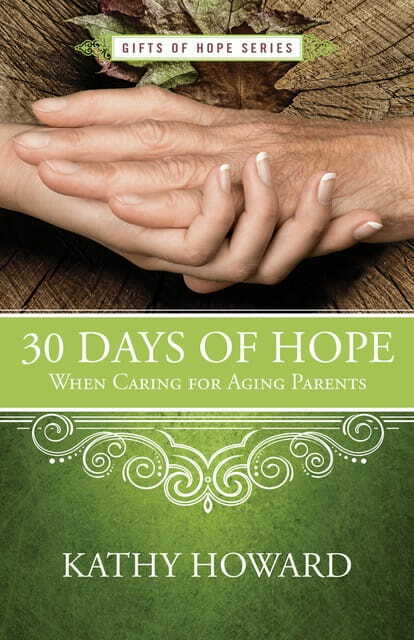 Kathy is the author of 8 books, including “30 Days of Hope When Caring for Aging Parents”. Find spiritual encouragement and free discipleship helps on her website.